Born on 09.24.1953 in the Jerlive Prelez in Ferizaj. Elementary school birthplace of high school – General High School in Ferizaj, and the head high school in Pristina Law Faculty. Work Experience: Secretary School Primary School in Nerodime, Ferizaj, 3 years. The normative reference in OPNI “Trajko Grkovic” in Ferizaj. 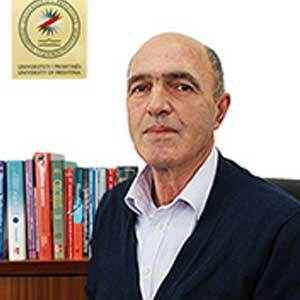 Secretary of the Technical High School in Ferizaj from 05/19/1987 until now Faculty. In the period 1991/99 to home-school facilities, secretary and keeper of the Ark and the financial service and clerk of works of students.